There's something wonderfully romantic about a canopied bed. Besides framing the bed, making it look larger than it really is, closed drapes provide a comforting little hiding place to read a book or simply block out distractions at night. I even enjoy the ritual that goes along with them. I close one panel of my canopy to watch a show at night, close the other last thing before I fall asleep, and tie them both back in the morning. They may be about the best $10 bucks I ever spent! A canopy may look like an expensive indulgence, but there's really no need to spend a bunch of money, buy a fancy bed frame, or install any sort of equipment to have one! You can make your own very simply and on the cheap following these steps here. 2 bed skirts matching your mattress size - $2 - $4 at a thrift store or garage sale. Staples (recommend ½ inch staples) - Free if you have them, $3.50 otherwise. Step 1: One skirt will serve as the top of the canopy, while the other(s) serve(s) to lengthen your drapes so they can stretch around your bed and also to add a nice frill to their edges. 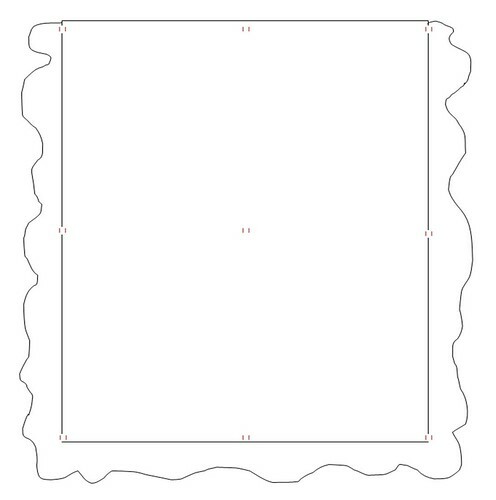 If there’s any difference between them, set aside the skirt you’d like to use as your ceiling and cut the other one(s) right down the center, lengthwise. Step 2: Pin the halved skirts to the sheets so the wrong sides are visible. It’s okay if your skirt halves’ pleating extends past your sheets. Just make sure they match up on the top. If you're making three drapes (because your bed is only touching one wall), use just the trim (none of the sheet portion) from your third bed skirt to decorate the side of the drape that will hang at the end of your bed. Step 3: Sew where you pinned. I used a basic straight stitch and it’s worked just fine, though you could certainly use a zig zag or fancy seam stitch if you’d prefer. Step 4: Cut 9 ribbons of equal length. Mine were about a foot long, though you could lengthen or shorten them depending on how close you want the drapes to the ceiling (or how low down you’d like them hang over you.) Keep in mind you’ll Slanted Ceiling? 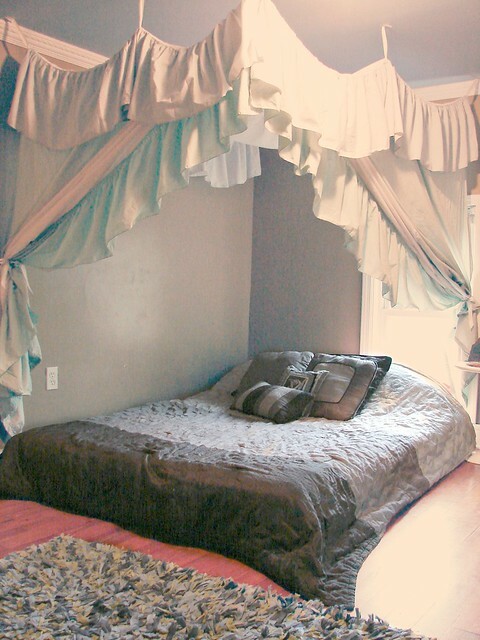 The friend that said she chose b&bs solely for their drapes, thought that she couldn’t have a canopy in her own bedroom because her ceiling was slanted, however, with a little extra work, this would be no problem. You can figure out how much higher the highest point is from the lowest point you’ll be attaching your canopy to and simply lengthen the ribbons on the higher side accordingly! Step 5: On the skirt you’ll be using as your canopy ceiling, cut two very small slits (about a half inch apart) straddling the frill’s seam (except, of course, for the one spot in the very middle) where each ribbon will be strung through, as indicated below. Making the smallest holes you can possibly make and still get the ribbon through is the goal. 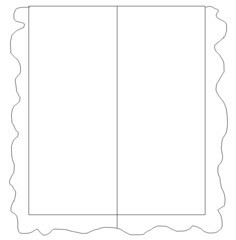 Step 6: Cut three slits into the top of each of your newly sewn drapes, as indicated below - one in each corner and one in the middle. These will correspond to the holes you cut in your canopy ceiling. Step 7: Thread a ribbon through one hole in your canopy ceiling, into the corresponding hole in the drape, and back up through the second small hole in your canopy ceiling. 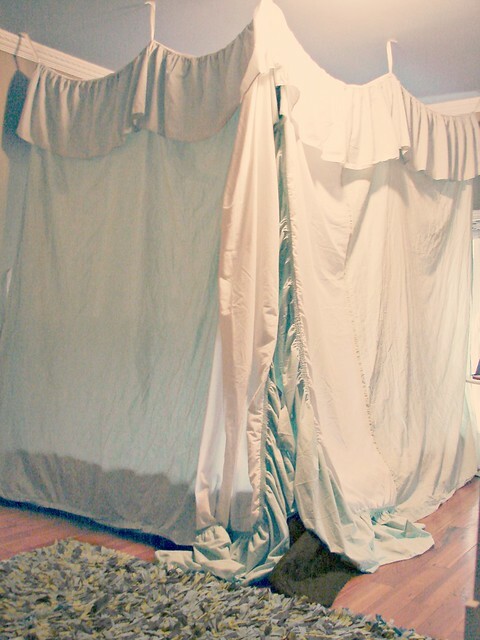 (You want the canopy ceiling’s frill to be outside, and the top of the drape to be hidden by it. )Tie a knot. Continue until you have ribbons through all the holes you cut - except for the two holes you cut in the center of your canopy ceiling. Step 8: Fold the ribbon for the ceiling’s center exactly in half. On the ceiling above the very center of your bed, use your staple gun to attach the ribbon’s middle. I recommend making a cross with two staples for a more secure hold. Step 9: Staple the ends of three of the canopy’s corner ribbons to your ceiling (still using the cross method! 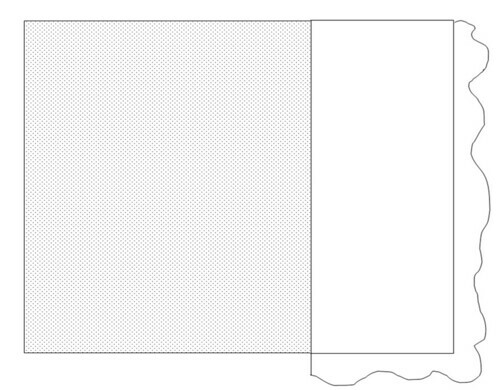 ), directly above the corresponding corners of your mattress. Before securing the last corner, pull the two ends of the center ribbons through the two very small holes you cut for them in the canopy ceiling and tie them in a knot leaving about two inches of ribbon after the knot. 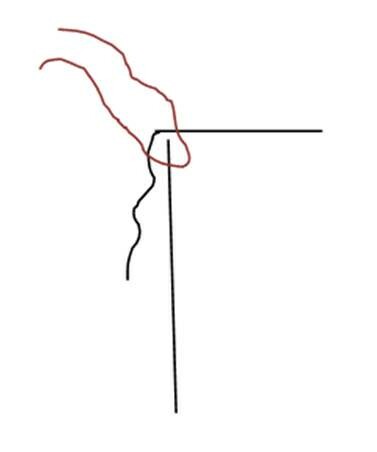 Staple the final corner’s ribbons, once again, directly above the corresponding corner of your bed. 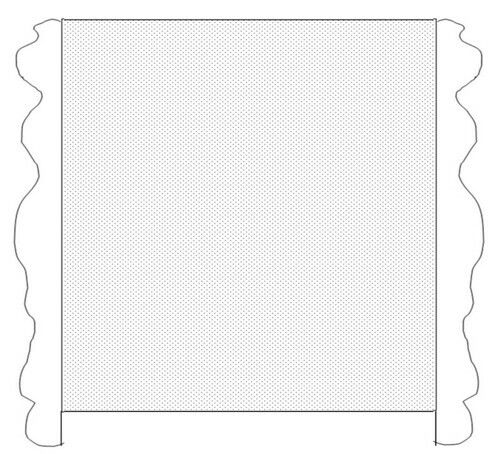 Staple the middle ribbon on each side of the canopy to corresponding middle of each side of your bed – draping is good! 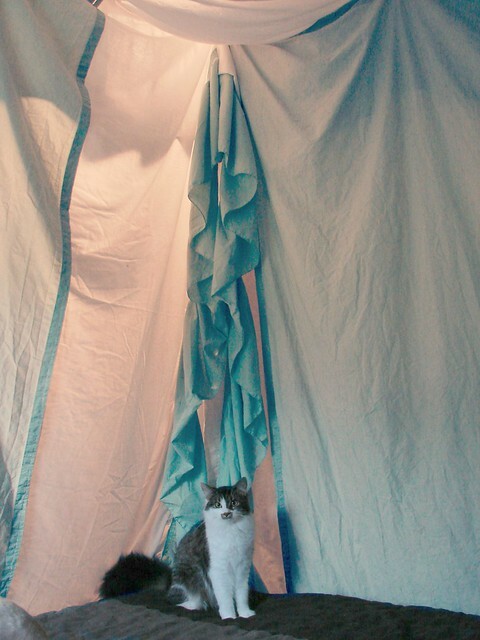 Step 10: Now for the gathering method – you’ll want some way to tie back your drapes during the day. Since my bed is positioned against two walls, I had only two drapes to worry about. I stapled two longer pieces of ribbon – probably about 3 feet in length – in their centers to the wall where I wanted my drapes to gather. I recommend trying to gather the curtains by hand first to see whether you prefer their look tied higher or lower on the wall. I went a bit lower than halfway down. 3. Get more than four times the length of the drape in ribbon and cut it in half. Cut little, evenly-spaced holes (I’d probably go about three inches apart) down each side of the drape, about an half inch from the edge where the frill was sewn. Staple the center of each ribbon the ceiling directly above the line of holes. Keeping the ends together, weave them through the holes as if sewing. Tie a bow where the drape meets the ground. When you want to put up that drape, untie the bows, pull the fabric up the ribbons until the drape is as far up as you want it and retie the bows again. This looks like a good way for the zombie apocalypse to sneak up on you and catch you off guard. I'll keep my 360 degree view, thanks. haha To each their own! My Mom did something similar as a surprise to me when I was away at college. THAT is awesome. What did it look like before? My mom did a similar project to my bed when I was about ten, except it was mainly lace curtains that she stapled to the ceiling! It looked really nice as long as you didn't pay attention to the metal filled ceiling!